Researchers analyzed popular diets, and the results show that we’re all probably deficient in one or more nutrients. From couch potatoes to athletes, junk munchers to calorie counters getting their five servings of fruits and vegetables—most people are missing nutrients. Vitamin D, folate, iron, zinc, calcium and Vitamin E are some of the most common missing nutrients. You might be getting enough food, and you might be getting some of each of those nutrients, but be falling short of optimum nutrition and the health that goes with it. Major deficiencies are hard to miss. They show in the bones, hair, and health. But a minor deficiency might be missed, but still have effects that ripple through your life—fatigue, aches, restless leg syndrome, insomnia, chronic minor illness, or other subtle symptoms. One or two things that maybe come and go, that may be petty annoyances or pounding, unsolved mysteries. A daily multivitamin helps to make sure you’re getting all the nutrients your body needs each day. Give your body the building blocks it needs to build, function, and repair itself so that you can feel your best and find better health and wellness. 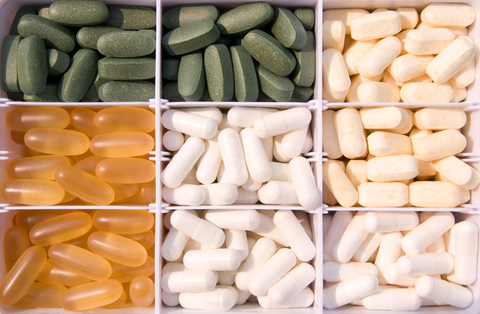 Everyone can benefit from a daily multivitamin, getting started is a no-brainer. It’s an important addition to even a healthy diet and lifestyle (maybe more so, if you’re more active you need more support). We also need more nutrient support as we age and out gut gets less efficient. Choose a high-quality supplement like Triple Strength Antioxidant. Get more nutrients, fresher ingredients, and a formula that’s designed to be easy to digest so your body gets and uses more of what you put into it. Triple Strength Antioxidant has no fillers or preservatives, and is packed full of nutrients.